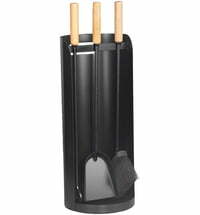 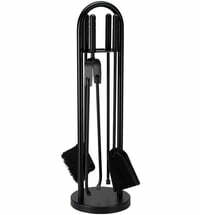 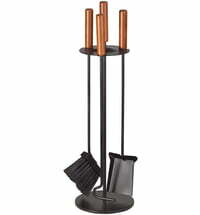 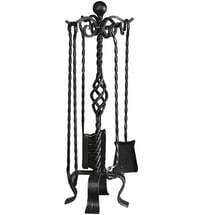 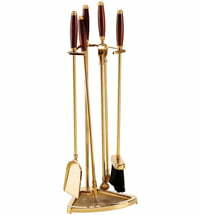 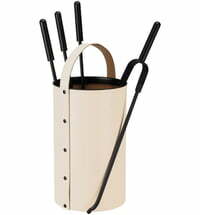 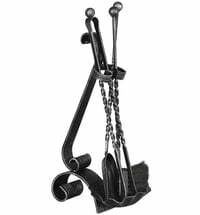 A three piece set of fireplace tools. 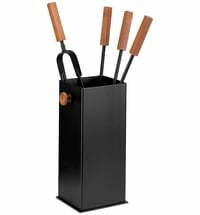 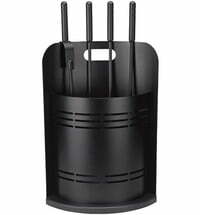 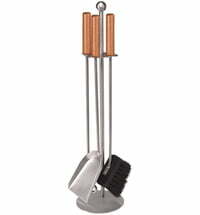 A matte, stainless steel set of three fire irons. 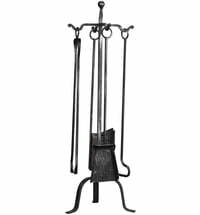 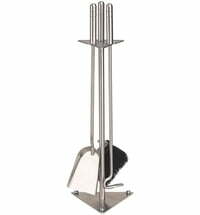 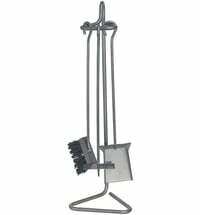 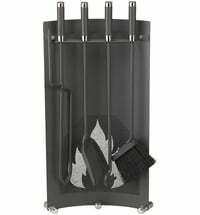 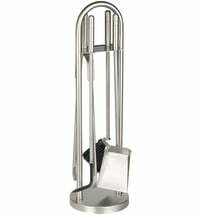 A set of matte stainless-steel fireplace tools.